Should people keep monkeys in captivity? Not unless they can give them excellent care. 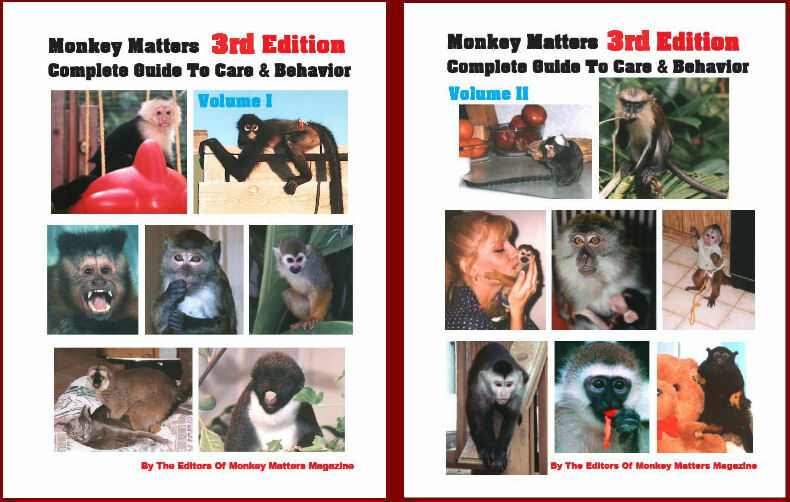 Monkey Matters Complete Guide To Care & Behavior is dedicated to the well-being of all monkeys and to the education of their caretakers. Includes vital new information and updates.